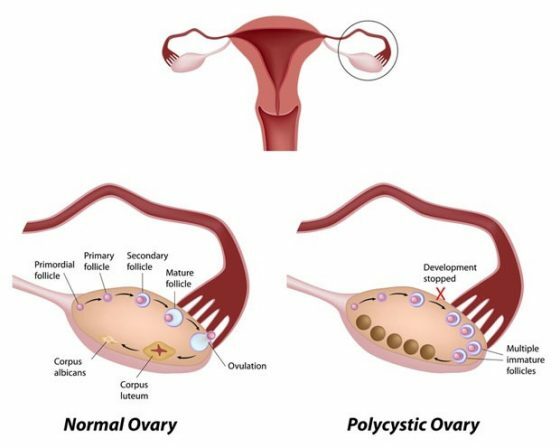 The polycystic ovarian disorder is the most common health problem affecting women of a childbearing age. It occurs due to a disturbance in the balance of estrogen and progesterone hormone. It affects the menstrual cycle, fertility, insulin production and the appearance of the woman. If not treated it may affect the health of the heart, blood vessels and may cause cardiac diseases, high blood pressure, high cholesterol and diabetes. 1. The increase in the level of androgens and absence of ovulation. 2. Absence, delayed or irregular menses. 3. Cysts or fluid-filled sacs may be present in the ovaries. 4. Insulin level in the body increases due to insulin resistance. As insulin is not used properly level of blood sugar goes up and increases the risk of diabetes. The absence of menstruation, irregular and infrequent menstruation. Infertility and difficulty to conceive. Male pattern baldness. Thinning of hair. Skin tags in the armpits or neck area. 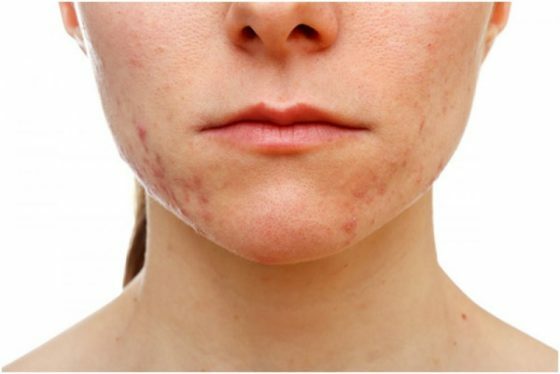 The exact cause of PCOS is not known, but the following are the triggering factors. A genetic link- Usually mother and sister of women having PCOS also have the same condition. Hormonal changes and increased the level of androgens. Usually, change in one hormone level triggers changes in the level of other and the cycle go on. In PCOS, the ovary is not able to produce all hormones that are needed for the eggs to mature. This leads to accumulation of the fluid and growth of the eggs into a cyst. Infertility due to the inability of the ovaries to release an egg every month. Endometrial hyperplasia and endometrial cancer. A doctor may ask you questions regarding your periods, any medicine if you are taking, your lifestyle, problems in getting pregnant and family history of PCOS. The doctor may examine your pelvis, skin, breast, thyroid glands and hair. Your blood pressure and BMI may be checked. Blood tests are done to check the level of androgen, insulin, cholesterol, adrenal gland hormones. Also, HCG level is checked to rule out pregnancy. The ultrasound may reveal enlarged ovaries with small cysts. Your doctor may prescribe some medicines to ease the symptoms of PCOS, regulate the hormone production and regularize your periods. Your ovulation may return from the fertility drugs usually administered to women who want to get pregnant. There is no specific cure for PCOS, but a healthy lifestyle may control it and reduce the risk of infertility, uterine cancer, heart diseases, and diabetes. Switch on to PCOS diet. Eat fruits, vegetables, complex carbohydrates and avoid refined sugars and saturated fats. Exercise daily for 45 to 60 minutes.